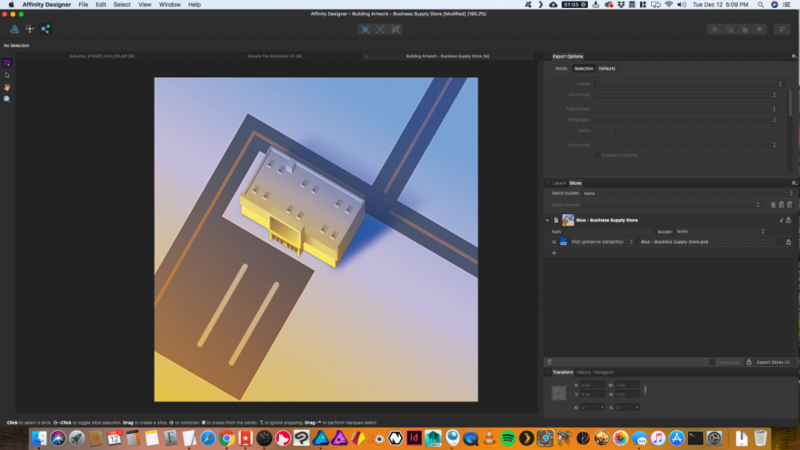 In the first screenshot I show my original file in Affinity Designer. I export this file to "PSD (preserve editability)" format. 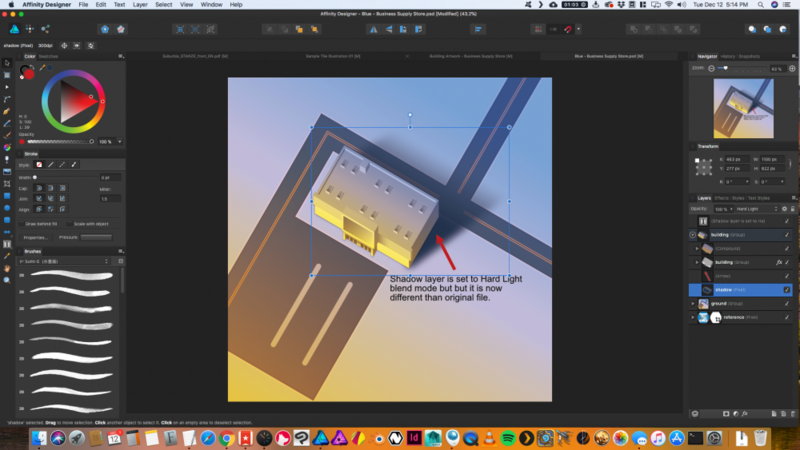 I open this new PSD file in Affinity Designer and now the blend mode (set to Hard Light) for the layer called "shadow" is not working in the PSD version. I demonstrate this in the short screen capture video. Thanks for your help. Hi wrinkledlight, Would you be able to upload the source Afdesign file please (or PM me a copy if you do not wish to upload it publicly)? Thanks for the files! After looking at them I can see that the export is not correctly setting the groups as Pass Through layers in the PSD, and instead setting them as 'Normal'. In Photoshop just selecting the folder groups and switching them to Pass Through should correct the image. I'll get this passed on to development.